The Tu Lan Cave System is located at Tan Hoa village, Minh Hoa District, Quang Binh. 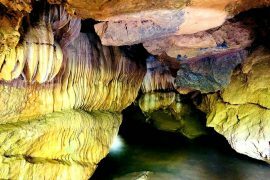 It is about 70km North-West of Phong Nha and discovered by Only 3 caves, Tu Lan, Hang Ken and Hang Tien were explored on the 2010 expedition. In 2012 the BCRA expedition came back and explored more caves including Hang Hung Ton, Hang Uoi, Hang Chuot, Hang Son Oxalis, Hang To Mo and Hang Kim, and a few more caves have been found in 2013 in this area. The Tu Lan cave system became popular when Carsten Peter (NatGeo photographer) took a photo in Hang Ken that won so many prizes in National Geographic Magazine in 2011. The cave system is now open for tourists and managed by Oxalis Company Limited, a specialist caving and jungle trekking company. The intent of Oxalis is to keep this cave system totally natural, no construction and housing will be built in this area. There are many spectacular untouched caves in this limestone mountain area with beautiful stalagmites and stalactites, as well as underground rivers and waterfalls making Tu Lan a unique spot for both sightseeing and adventure. Tourist will walk under the immense valley, wade slippery mud, and swim across the rivers with the temperature of 200c that will surely satisfy and make good impression for tourists. The trek to Tu Lan cave system in Minh Hoa, about 70km from Phong Nha, in far distance is the Rat cave at Tu Lan valley. 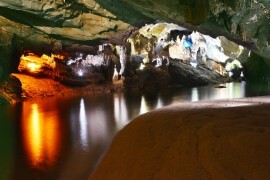 The Tu Lan Cave System is located at Tan Hoa village, Minh Hoa District, Quang Binh. It is about 70km North-West of Phong Nha and discovered by Only 3 caves, Tu Lan, Hang Ken and Hang Tien were explored on the 2010 expedition. In 2012 the BCRA expedition came back and explored more caves including Hang Hung Ton, Hang Uoi, Hang Chuot, Hang Son Oxalis, Hang To Mo and Hang Kim, and a few more caves have been found in 2013 in this area. The Tu Lan cave system became popular when Carsten Peter (NatGeo photographer) took a photo in Hang Ken that won so many prizes in National Geographic Magazine in 2011. The cave system is now open for tourists and managed by Oxalis Company Limited, a specialist caving and jungle trekking company. The intent of Oxalis is to keep this cave system totally natural, no construction and housing will be built in this area. 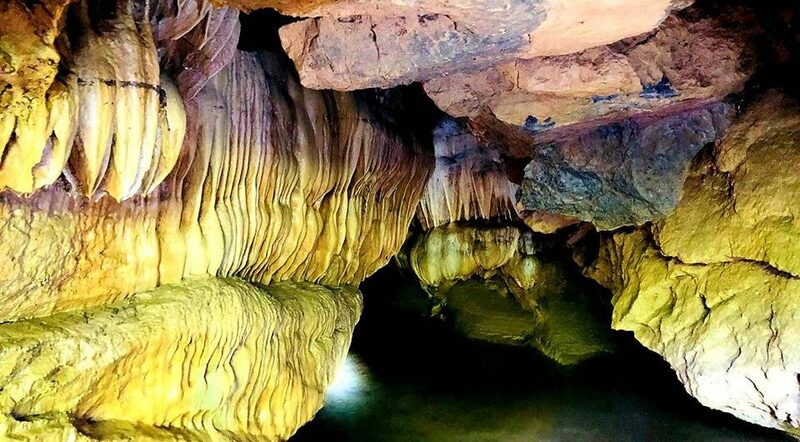 There are many spectacular untouched caves in this limestone mountain area with beautiful stalagmites and stalactites, as well as underground rivers and waterfalls making Tu Lan a unique spot for both sightseeing and adventure. Tourist will walk under the immense valley, wade slippery mud, and swim across the rivers with the temperature of 200c that will surely satisfy and make good impression for tourists. The trek to Tu Lan cave system in Minh Hoa, about 70km from Phong Nha, in far distance is the Rat cave at Tu Lan valley.